Loyola Marymount University – B.A. Southwestern School of Law – J.D. Michael D’Andrea is a partner based in the Los Angeles office of Bremer Whyte Brown & O’Meara. He is a litigator who has had the pleasure of representing individuals, small businesses, Fortune 500 companies, and insurers in traditional litigation matters, complex litigation matters, and matters set for arbitration. His practice includes cases involving personal injuries, contractual disputes, consumer product litigation, commercial product litigation, construction litigation, premises liability matters, environmental matters, and toxic tort litigation. 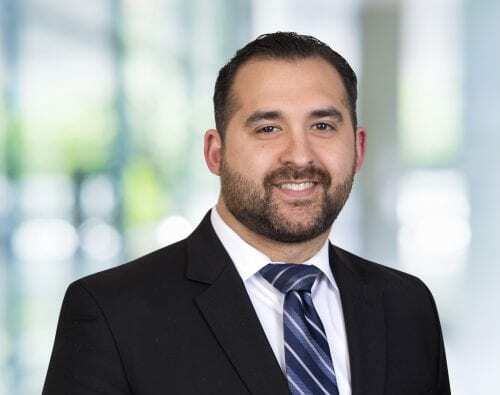 Mr. D’Andrea is also a published author, with articles published in the Los Angeles Daily Journal, Los Angeles Lawyer Magazine, and the Daily Recorder. He also speaks regularly to clients, insurers, and attorneys regarding legal developments throughout California. Mr. D’Andrea graduated from Loyola Marymount University in 2005. Thereafter, in 2008, he received his Juris Doctor degree from Southwestern Law School. He currently lives in Los Angeles with his wife, Kathy, and his two children, Robert and Charlotte.